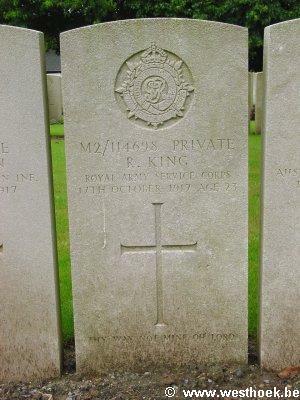 Private REGINALD KING M2/114698 Mechanical Transport, Army Service Corps attd. 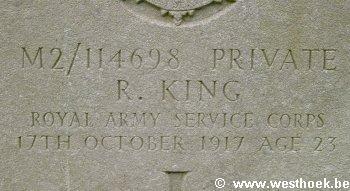 25th Siege Bty., Royal Garrison Artillery who died on Wednesday 17 October 1917. Age 23.